Create a professional and inviting atmosphere for your customers and clients with a freshly cleaned carpet by JRJ Pro Clean. Not only will clean carpets help to keep your business looking its best, but it also has valuable health benefits for your employees and customers. We recommend carpets be cleaned every six months to one year in order to eliminate unsanitary dust mites, pollen, and other allergens living in your carpet. 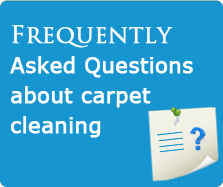 Don’t think you have the time to have your carpet cleaned because it will interfere with business? The professionals at JRJ Pro Clean are able to work around your business’ unique schedule and also offer quick drying options for hectic businesses who can’t afford any downtime. JRJ Pro Clean’s dry encapsulation cleaning service will have your carpet dry within one hour so your business are ready to get back to work with a beautifully cleaned carpet. We also offer hot water extraction cleaning if that fits your business’ needs. Contact us to find out about our services and flexible schedules and learn how we can meet your business’ carpet cleaning needs. Also ask about our volume discount – the higher square footage of cleaning, the lower the price per square foot. You can also use the online form to request a quote. All in-person estimates are guaranteed for 30 days. 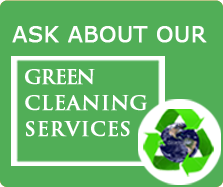 Also ask about our organic green cleaning and tile and grout cleaning services for businesses.